Superman and Black Adam Cameo in Shazam! Warner Bros. has begun test screening the highly anticipated DC movie Shazam!. 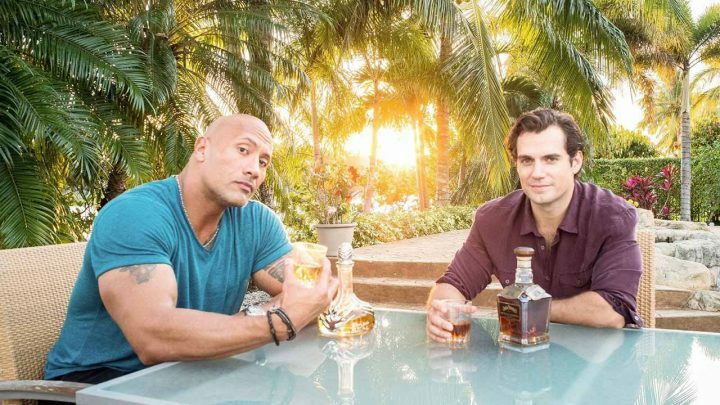 The screenings have revealed two cameos from none other than Superman and Black Adam. But don’t get too excited because the studio uses body doubles to stand in for both actors Henry Cavill and Dwayne Johnson. The use of a body double instead of Cavill himself only confirms news we learned back in September that Henry Cavill will not be reprising his role as Superman in future DC films. Spoiler warning! Some details of the cameos have emerged. During the film when Billy is talking to The Wizard played by Djimon Hounsou he learns about the other Champion who became evil and in this discussion we see a hologram of Black Adam with his face obscured. Johnson had been chasing the Black Adam role for years. The actor had been in talks with the studio to play the character in a stand-alone movie. Related: Dwayne Johnson is Shazam? In what could become an end credits scene, Billy Batson (Asher Angel) shows up at school as Shazam (Zachary Levi) as a favor to Freddy Freeman (Jack Dylan Grazer) and he brings a friend — the Man of Steel himself, but it’s a body double not Cavill. It was rumored last year that Cavil was approached by the studio to do a cameo in the film, but contract negotiations fell through. It’s important to note that both Henry Cavill and Dwayne Johnson are managed by Johnson’s ex-wife producing partner and manager Danny Garcia. Johnson and Garcia are still credited as executive producers on the film. Johnson has said that it’s important to let Zachary Levi establish himself first as Shazam before introducing his arch-nemesis. Cavill will next appear as the character Geralt of Rivia on Netflix in its upcoming fantasy series adaptation The Witcher. New Line Cinema’a Shazam! arrives in theaters on April 5, 2019.